Tuesday – Get back to a DC go-to! Smithsonian Museums are reopening after being closed for weeks due to the government shutdown, so go make up for lost time. Start off at the National Museum of Natural History where there are exhibits to indulge all kinds of interests. View all kinds of mammals, hold live insects, learn about early humans (and see what you’d look like as one), check out dino skeletons, gaze at amazing gemstones, and so much more. KFDC Tip: On Tuesdays, you can get free entry to the Butterfly Pavilion, and I recommend getting tickets for it when you arrive, since entry is timed, and yours may not begin right away. Admission to the museum is free, the Butterfly Pavilion is $7.50/adult, $6/child. Museum hours are 10am – 5:30pm. Later on, celebrate National Skating Month at the Ashurn Ice House with a FREE skating event from 3:30 – 5pm. Complimentary group skating lessons will be offered at 3:30pm, 4pm and 4:30pm. Skates will be provided at no cost to all participants. All ages are welcome, but ice space is limited to 200, so get there early! Wednesday – Bundle up for a trip to the National Zoo! Surely, the animals missed all of their visitors over the last few weeks. Check the Daily Programs schedule before you go to help plan your outing — you can chat with a bear keeper, visit the shocking new Electric Fishes Demonstration Lab, meet a small mammal, and more. You can also just stroll and pick your animal visits as you go. This time of year, grounds are open 8am – 5pm, exhibit building hours are 9am – 4pm, and the Visitor Center 8am – 4pm. Admission is free, though parking in the Zoo lot for non-members is $22-25 (free for members). You can also try parking on Connecticut Avenue or a side street, or take Metro to Woodley Park or Cleveland Park stations then walk a few blocks. 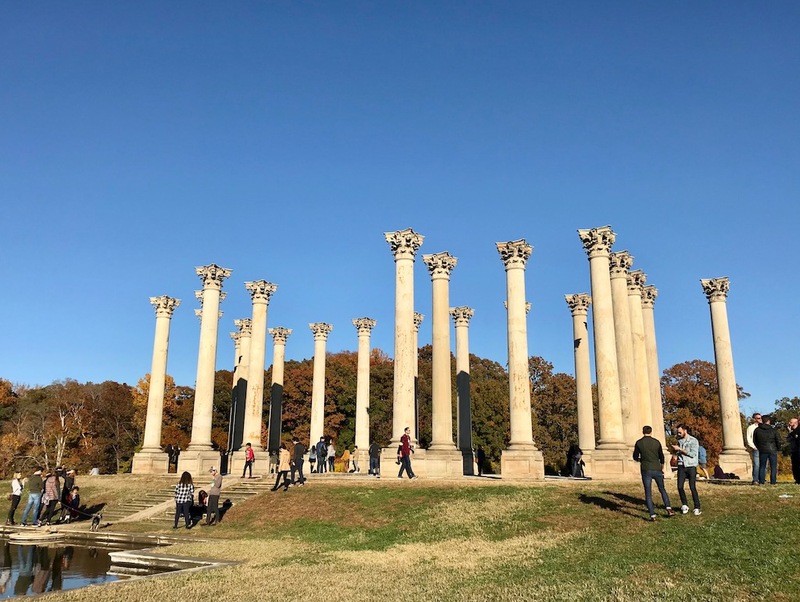 Thursday – Jet out to the Dulles area to explore Air & Space beyond the National Mall (and escape the crowds) at the Steven F. Udvar Hazy Center, the Chantilly arm of the museum. Showcasing even more fascinating artifacts of flight, you can see all kinds of air and space crafts, pretend to pilot in a flight simulator, get hands-on in a discovery station, and much more. Hours are 10am – 5:30pm. Admission is free, but parking is $15. Friday – Celebrate the start of Black History Month with a show that salutes African Americans. Discovery Theater presents Black Diamond, spirit-rousing musical play chronicles the struggles and triumphs of pioneering African American baseball players. Showtimes are 10:15am and 11:30am, and tickets are $3-8.